Whenever I make buttercream, I tend to have yolks left. 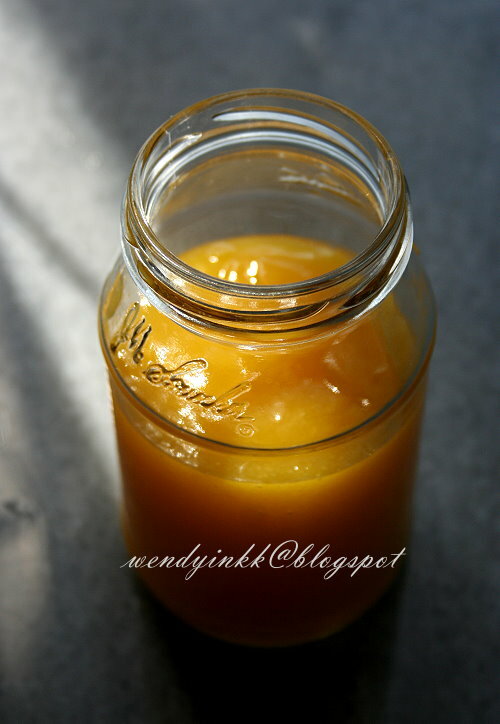 This is a good option to clear off the yolks. My hubby's relatives from Australia brought us some homegrown lemons, and so, they are organic and wax free. So happy!!! 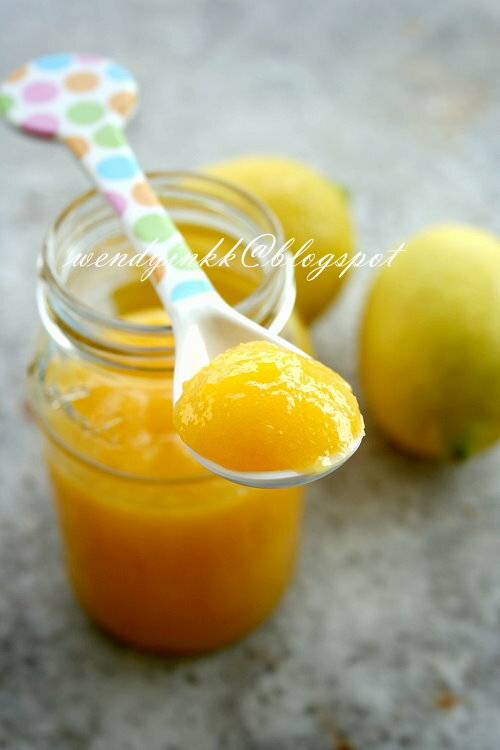 So, with the extra yolks that I have, what am I waiting for, hehehe, make lemon curd!! So far Rose's recipes are quite moderate in terms of sweetness compared to other American sources. I chose to go with her. Her instructions are always lengthy for a good reason. Give her some time and read properly and I do thank her for it. I jacked down her recipe to suit 5 yolks, maintaining the ratio in the recipe. Indeed the curd is nice, still slightly tangy, but being sweet is inevitable like all fruit spreads are but not overly sweet until sweetness is all one can detect. I used normal farm eggs and the colour is just as beautiful. Golden yellow! I heard she's coming out with a new book this year, I hope to buy it too and add to my collection. 1. Put the zest into a bowl. Place a strainer over the bowl. 2. 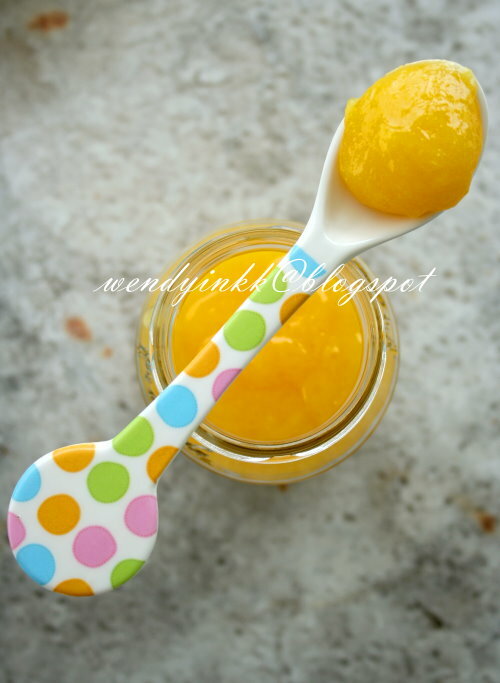 In a heavy based saucepan, whisk yolks, sugar and butter until well blended. Whisk in the lemon juice and salt. 3. Cook with medium low heat, whisking constantly with a silicon spatula, scraping the sides as you stir. Cook until it thickens but still liquid enough to pour (almost like cream soup). The mixture will turn from translucent to opaque. Don't let it boil, take it on and off the fire if necessary. 4. Pour the curd into the strainer (over the bowl of zest) and press the curd through the sieve with spatula. *Keeps for only 3 weeks in the fridge, any longer the fresh citrus flavour dulls. Interesting method to cook in saucepan. The method I follow is slightly different - more like making custard - with bowl over simmering hot water. I like to use the lemon curd in lemon meringue tartlets. Haven't tasted lemon curd yet. I am sure I will like it. So golden. I like the second photo! I like lemon curd , made once but my family doesn't seem to like it. They don't really fancy citrus unlike me. 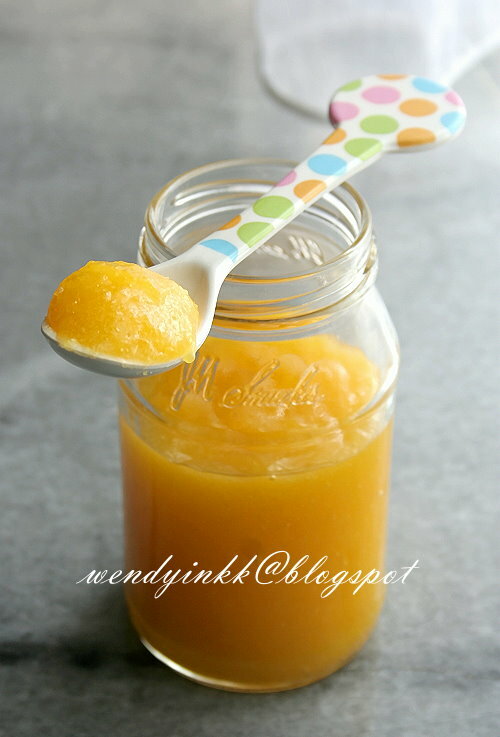 I will try this recipe when I have excess egg yolks. If u like citrus, u will like it, imagine lemon kaya. yawoh, this yolk only recipe is very golden, even with commercial farm eggs. Fantastic! How about linking it in to Food on Friday: Lemons and limes? Have a great week! so lovely that u have a good lemon. i like lemon very much. but buy one always is not that fresh. I am always the lazy one! My version uses the double boiler so I don't have to constantly whisk the curd! Hehe! It is nice lor, before this I also never knew, hehehe. It's ok to cook it over direct heat, takes less than 5 mins to get it done.